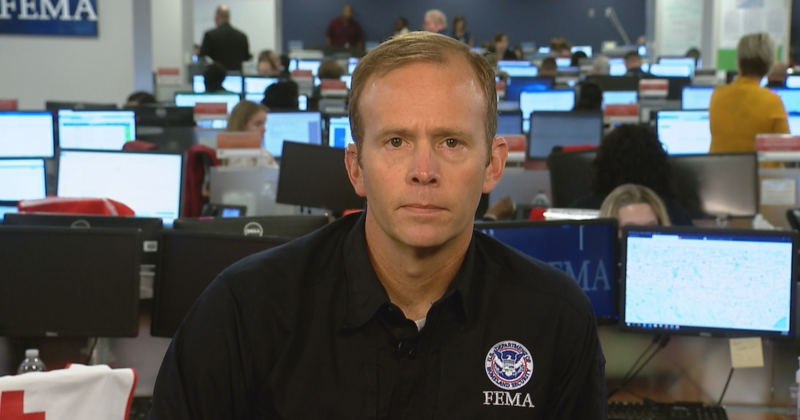 Brock Long, the administrator of the Federal Emergency Management Agency (FEMA), is defending President Trump over the death toll from Hurricane Maria in Puerto Rico, claiming that studies on the number of dead from the storm “are all over the place.” An independent study by researchers at George Washington University commissioned by the Puerto Rican government estimated nearly 3,000 people died because of the storm, a figure the president has disputed. According to the independent analysis by researchers at George Washington University’s Milken Institute School of Public Health, an estimated 2,975 more deaths than normal were recorded on the island from September 2017 to February 2018. The government had previously put the official death toll at 64. A study by Harvard University released in May estimated that Maria was responsible for the deaths of more than 4,600 people. Mr. Trump defended his administration’s response Maria in a tweet last week, disputing the latest study’s findings. Mr. Trump claimed that the study was “done by the Democrats” in order to make him look “as bad as possible.” His comments received widespread backlash from leaders in Puerto Rico and on Capitol Hill. “Puerto Rico is a very vulnerable place right now. We’re focused on putting billions of dollars of work to prevent this and build it more resilient sure it doesn’t happen again,” he said. 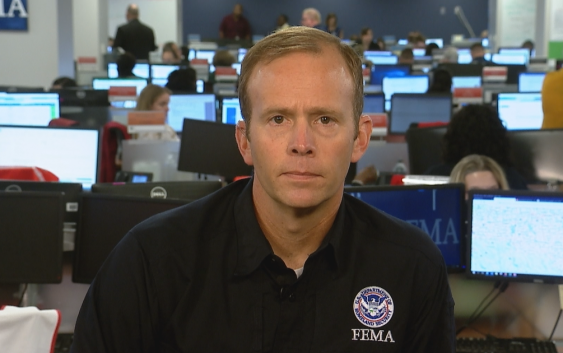 Long is spearheading recovery efforts from Hurricane Florence as it continues to batter the Carolinas. He’s also weathering his own storm stemming from an internal investigation by the Department of Homeland Security’s (DHS) inspector general over his use of government vehicles for commuting between North Carolina and Washington. Reports by Politico and the Wall Street Journal claimed that DHS Secretary Kirstjen Nielsen had asked for Long’s resignation amid concerns over his lengthy commutes back home, something Long disputes ever happened. “I’ve never been asked to resign. Secretary Nielsen and I talk everyday, we have a very professional functional relationship,” said Long, noting that the vehicles he used were equipped with “secure comms” under a program developed long before he became FEMA chief.